Ever since I was a young girl I’ve known that I wanted to be an artist. Illustration has always been my way of escaping reality to an imaginary world, yet it wasn’t until after college that I began to explore the idea of turning my passion into a career. While working a part-time job in the day, I worked on my portfolio at night. 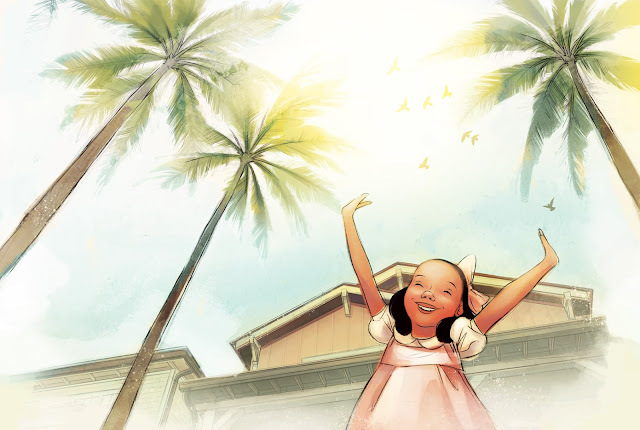 I believed in my ability to create compelling imagery for children’s books so I sought out ways to improve my skills and gain knowledge of the children’s book industry. I studied the artwork of many successful illustrators, experimented with different artistic mediums, read plenty of books on the subject, and joined the organization SCBWI to help me meet other like-minded people. Then in 2016 I was fortunate enough to be approached by The Bright Group for artistic representation, and it’s been a blessing ever since. 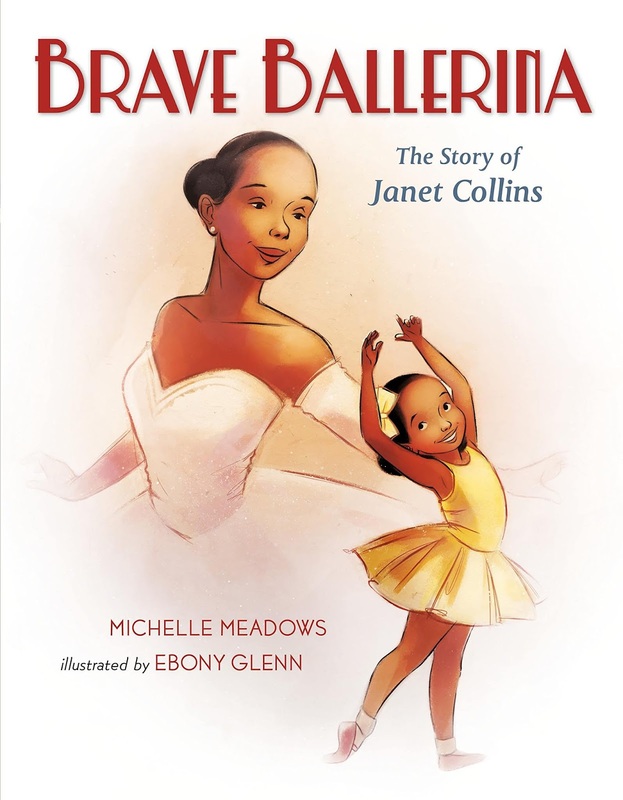 Congrats on your recent picture book, BRAVE BALLERINA: THE STORY OF JANET COLLINS. Tell us about the story and how you researched the illustrations. Thank you! BRAVE BALLERINA is a picture book biography about Janet Collins, a dancer who wanted to be a ballerina in the 1930s and 40s—a time when racial segregation was widespread in the United States. 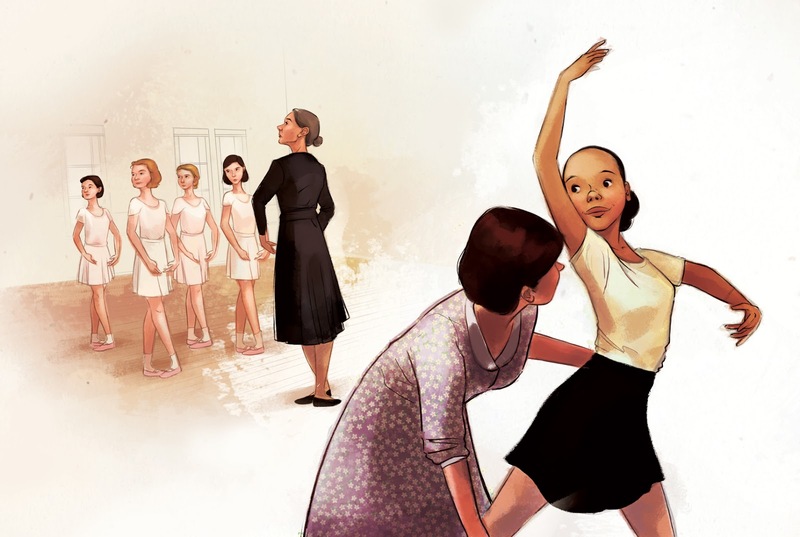 She pursued dance with a passion despite being rejected from discriminatory dance schools. 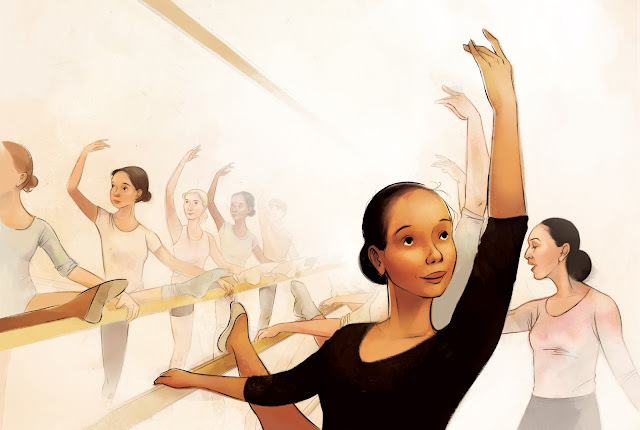 For the research of this children’s book, I spent a lot of time scouring the internet and reading plenty of books about ballet and Ms. Collins. There aren’t many photos of her nor are there many personal accounts of her life, but I found her biography, Night’s Dancer, written by Yaël Tamar Lewin, to be extremely helpful. I’d say something in between. In the beginning of my illustration career, I spent my time strengthening my portfolio and finding my artistic style. As the years went by, my focus eventually began to change towards learning more about the industry as well as finding my niche as an illustrator. Each phase has had it’s own ups and downs, but each helped me become a better artist. 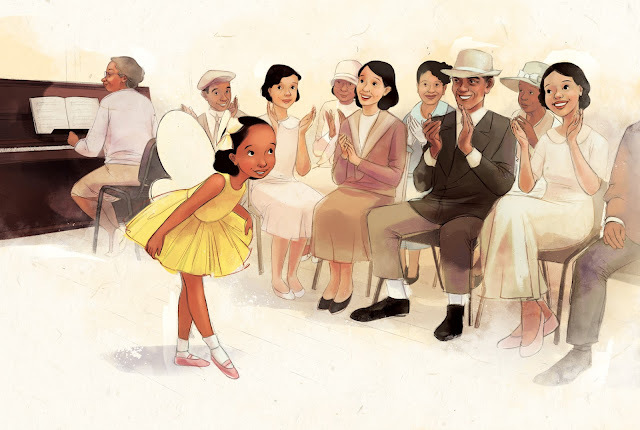 At the moment, I am currently working on illustrating three children’s books; INVENTOR GARRETT MORGAN, by Joan DiCicco (Lee & Low Books), THE RED SHOES, by Karen English (Scholastic), and FLYING HIGH: THE STORY OF SIMONE BILES, by Michelle Meadows (Macmillan Kids). When I was starting out I met a lot of resistance and discouragement from others about my dream to illustrate children’s books. It’s not easy to fight your own feelings of self-doubt when you’re also combatting the harsh opinions of others. Therefore, I highly recommend tuning out negatives thoughts, surrounding yourself with supportive people, and most importantly, believing in yourself. I LOVE ghost stories! I can’t tell you how many hours I’ve spent listening to paranormal podcasts as I illustrate my books! And also on Facebook: Ebony Glenn Illustration. 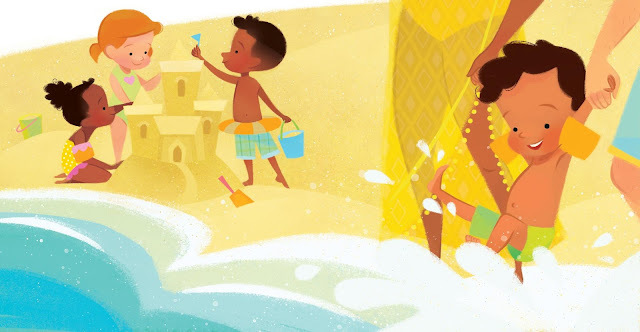 Ebony Glenn is a children’s book illustrator who enjoys bringing stories to life with whimsical imagery. A passion for the arts and great storytelling, she aims to make illustrations that will provide rich literary experiences for young readers. The book sounds amazing! The illustrations are beautiful. I’m excited to read it! The art is fantastically beautiful! Your illustrations are beautiful! I can't wait to read this book. Beautiful work! It's so much fun to learn about people I don't know in biographies. Your illustrations are beautiful and any picture book author would be honored to have your work alongside their words. Congratulations on your success and thank you for the interview. 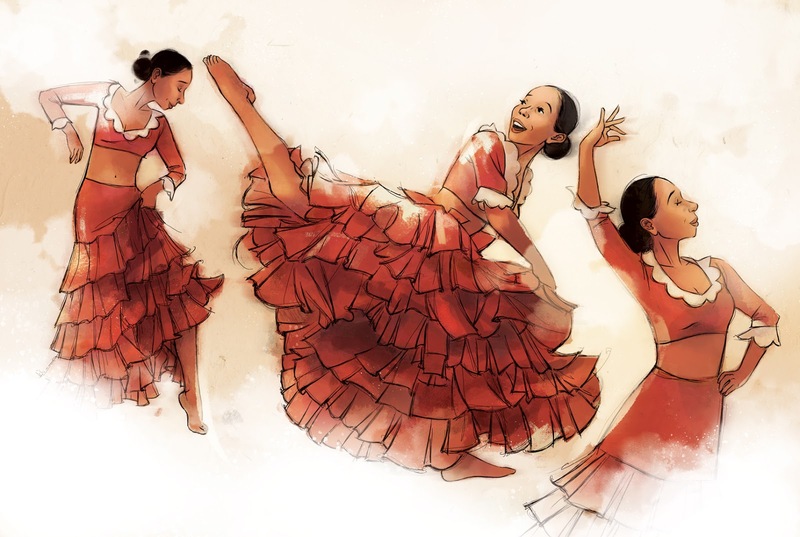 beautiful illustrations that capture the heart!! Your illustrations are incredible! A heart warming delight!!! Fantastic interview! I love Ebony's illustrations. Your illustrations definitely received my attention. Here's wishing you the very best! Thanks for sharing your journey. I LOVE these illustrations. Can't wait to pick up a copy of this book to add to my collection. Such a wonderful looking book! I'd love to win a copy, thanks for the chance!! Beautiful! Congratulations! Can't wait to read it! Ebony, I love your work. Can't wait to see your new books! You have such emotion in your character's facial expressions & body movement! This book looks beautiful! I have loved Ebony's elegant illustration style for some time! Can't wait to read the book! What a wonderful storybook to give to my daughter. Beautiful book, beautiful website, beautiful soul! I loved the Vimeo profile on Ebony's website under "News". The world is glad she decided to do what she is called to do, too!